With only two months left until the deadline, C64anabalt still requires a fair bit of work. Paul is planning to add the collisions (furniture and boxes to slow you down), shattering windows, birds, jets, falling buildings and crushing debris from the original, but with a total of 16KB to play with he (understandably) might not shoehorn it all in. 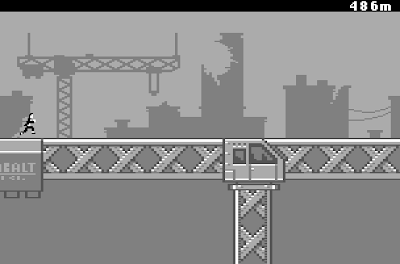 However, progress is going well with some pretty hefty features already installed, such as super-fast 800 pixel per second smooth scrolling (all in one frame), procedurally generated level layout (dependent on player speed, based on the original algorithms) and a whopping 38 frames of overlaid high-resolution player sprite animation! Do you think Paulko64 would be interested in letting us include it as a free 'in-app purchase' in Commodore 64 for iPhone? Would be so awesome! I always wondered if this game was possible on an Atari ST. Now somebody is developing it on a C64? Incredible! I love that it all scrolls in one VBL, that was vital to reproduce the feel of the original. Awesome! this is really a great job, I have wanted to have the cartridge. When the cartridges will be 32k? The cartridges that we use are limited to 16KB only I'm afraid... However, it's still surprising how much you can achieve in that tiny size! How'd this get music from Thrustburst? The Thrustburst soundtrack was written using a tracker called Goattracker, a piece of software that makes C64 SID tracks. There's also a PC player (or library) for GT files, which is what is used in Thrustburst AFAIK. 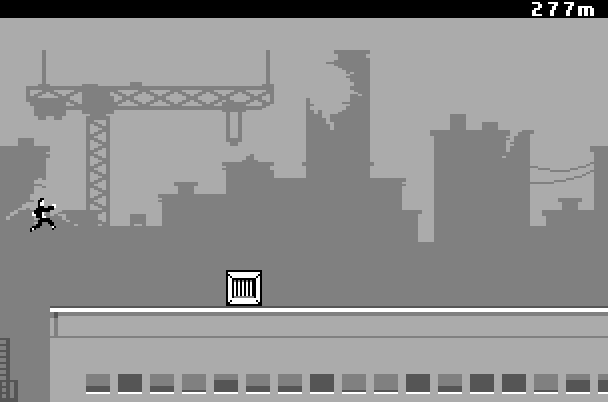 Canabalt wasn't the first in the genre. Have a look at "Leo Steel and the Aztek gold" from 2005. For sure there are others before that aswell. 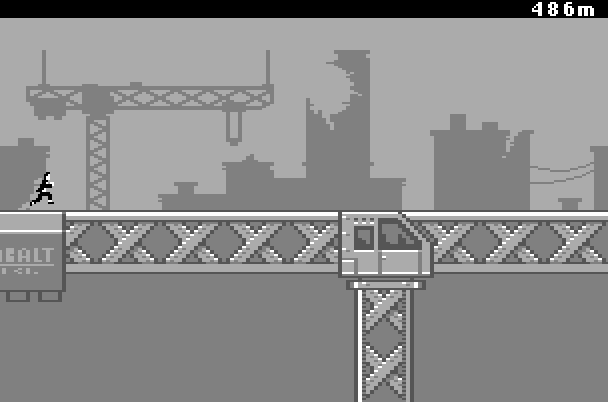 Looking forward to seeing this demake!